One of the longest ruling dynasties was the Cholas Dynasty that helped literature and art to flourish in the southern states. They left a lasting legacy. Even though we have heard about them and maybe read a little too, some of the hidden truths (or myths) still lie uncovered beneath the sands of time. 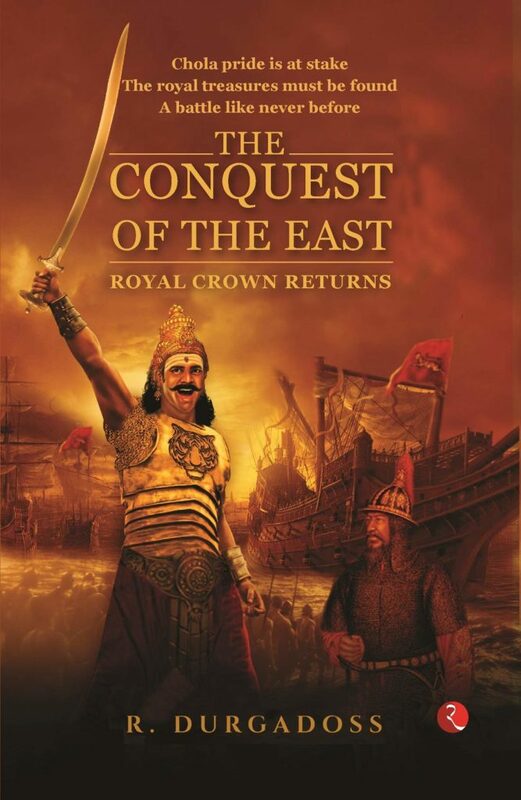 ‘The Conquest of the East’ is a mythological fiction that depicts the fortitude and valour of the Chola kings who believed in their actions more than they believed in fate. The story circles around Rajendra Chola, the successor of Raja Raja Chola, and his naval commander, Surya, who despite not being born with a silver spoon in the mouth possesses all great qualities of a human being. Known for his wisdom, tactics and spontaneity, Surya soon catches all attention and rises to become the right hand of King Rajendra. Befitted to win back the jewels and the precious Royal crown, he embarks on an adventure to distant kingdoms to rescue the lost glory of the Chola Kingdom. “Fate is inevitable. But it is our actions and the perception that pave our path for success.” This proverbs holds true for Surya’s character. Loyalty, compassion and grit are woven into his soul; he is the one companion that everybody needs to help sail during the storm. Using the facts from the ancient tales and sewing the most prominent myths together, the author presents the readers with a dynamic plot. The subplots have been tied together so well. The narration is terse while the dialogues do a fine job of adding a little spice to the story. Overall, this is an entertaining read with all the essential elements of a good story!